2 things we know about you! 1. 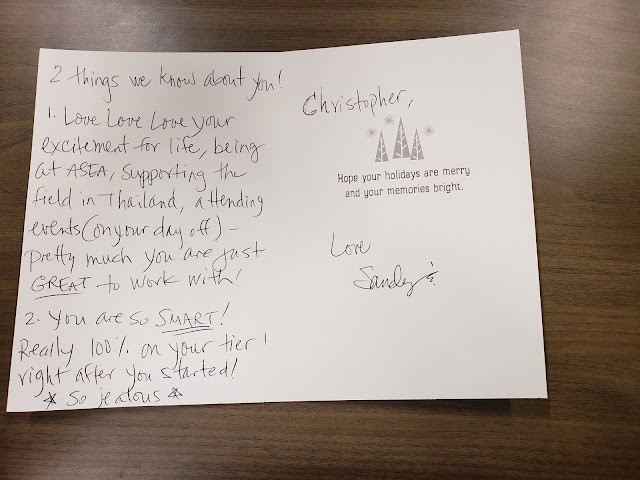 Love love love your excitement for life, being at ASEA, supporting the field in Thailand, attending events (on your day off) - Pretty much you are just GREAT to work with! "No man, [with] his hand to the plough, and looking back, is fit [in] the kingdom..."
I'm Christopher. I grew up in Austin, Texas except for one year I spent in Taiwan in middle school and studied Chinese all through high school. I speak, write, and read Thai fluently, having lived overseas for two years in cities all over Thailand, working in several positions for a global nonprofit organization. See my resume for applicable strengths and skills.